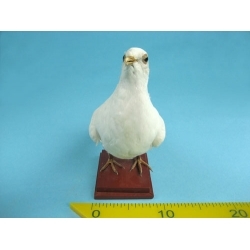 Model of a pigeon-mounted on a wood base. Columbidae family. Range is Europe and North America. 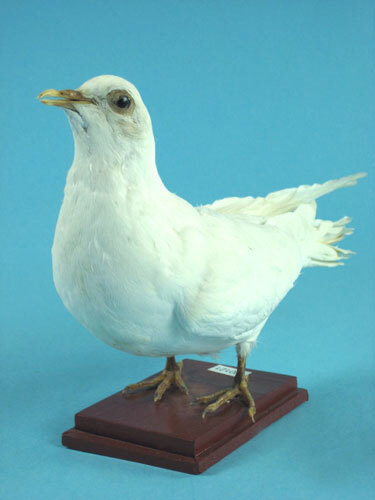 Can be domesticated and also can be trained as a " Homing Pigeon " that will fly long distances and then return home and can be used for carrying messages.